Here are a few PostgreSQL Interview Questions for you! 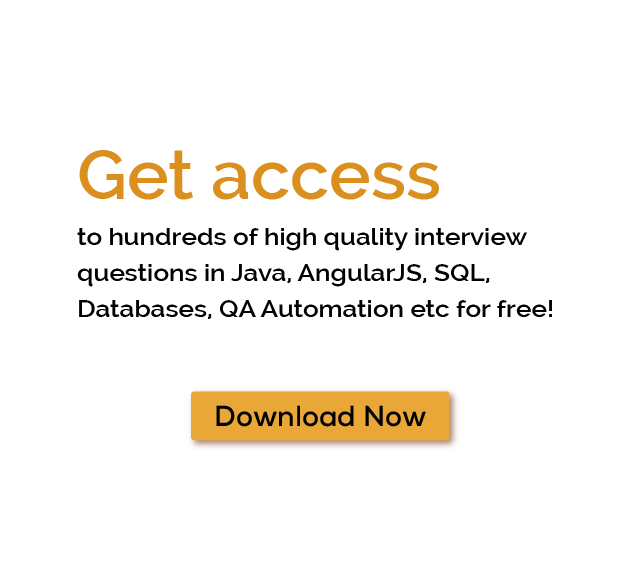 Download more High Quality PostgreSQL Interview Questions! A data management system is an empirical part of programming and computer science that allows one to create and manage database securely. It allows the developers in creating, managing, retrieving and updating data in a systematic manner without hassle. Postgresql is part of these data management systems that enable programmers in running database in UNIX like platform. Read on to gain an overview of what is postgresql and its dimensions. The postgres database is one of the most advanced open-source database systems. The primary purpose of this database is the management of object-relational database system. It was developed to run UNIX like platform. However, the database is compatible to run in other platforms too. As it is an open source software, it is also portable on platforms like Mac OS X, Windows, and Solaris. It is free and an open source software compatible with different mediums. Its source code can be availed only under a psql license which is an open source license. It is economical and thus widely used in developing different applications. What makes PostgreSQL the most sought DBMS? The pl sql developer comes with varied features that make it more prominent and stand out in comparison to other databases. One of the prominent features includes its assistance for developers in building applications. Not only is it useful for developers but also for administrators. For administrators, it aids in protecting the integrity of data by building fault-free environment. Being fault-free the application will continue to work even if some of the nodes fail. The postgres create database that helps in managing datasets no matter whether it is big or small. In addition, it is highly extensible. One of the examples of this feature is that the database aids in defining its very own data types. Using this, one cannot only build customized functions it can write codes from other programming languages too. However, this feature doesn’t require recompiling of the database. This Pgadmin database is of great assistance in managing concurrency. This is done through a system called Multi-version Concurrency Control or MVCC. With MVCC each transaction is given a snapshot of the database. This snapshot, later on, allows in makings changes without making it visible to other transactions until the changes are not total compiled. Thus, it eliminates the need for reading locks and ensures each database maintains ACID property, which is Atomicity, Consistency, Isolation and Durability principles efficiently. It is immune to dirty reads and hence allows requesting a read uncommitted transaction isolation instead of a read committed level. Its serialization snapshot technique allows serializability of data effectively. What are the features of PostgreSQL? As it is an advanced type of open source DBMS, having an intense knowledge of the subject and its area is considered advantageous on the career front. Students who aim at gaining a practical outlook of the database system and understand its actual working can resort to postgresql tutorial. It guides individuals in learning each step and gain an intrinsic view in its working. Furthermore, it also lets one get a practical outlook on how to replicate, index and perform other features efficiently. Replication – It includes inbuilt binary replication nodes, which asynchronously allows one in running read-only queries. Thereby it allows in splitting read traffic using multiple nodes. This means that unless one node has not completely written the data in the transaction log, the other process won't take place. Index – It includes built-in support and four indexes access methods which are GiST (Generalized search trees), GIN (generalized inverted indexes, SP-GiST (Space-Partitioned GiST) and Block Range Indexes (RRN) each involved in performing different functions. Schemas – It holds all objects other than roles and tablespaces together. This also helps objects with the same namespace co-exist with one another without hindering two or more processes. Thus, it is called the outline of a database. It is an open source database that is reliable, consistent, expandable and adaptable. It is a good source of learning for students as a large amount of data can be accessed and stored easily. Cons: Installation of this database system is difficult. One can, however, resort to tutorials to install Postgresql which offers step by step guidance. The database source core is available in several source and binary formats. Different formats of postgresql download are available for the testing environment as well as for carrying on the source code. They are available in 32-bit and 64-bit formats. Some of the many PostgreSQL Interview Questions listed below will help you get an idea about what questions gets asked in such jobs related to Software Engineering & Tech. Get through the PostgreSQL Interview bar with our selected PostgreSQL Interview Questions for all PostgreSQL enthusiasts! For thousands of similar PostgreSQL Interview Questions login to our Website or download EduThrill. Experience the thrill of challenging people around the world on PostgreSQL Interview Questions!